I trained at Manchester Metropolitan University and gained a Graduate Diploma in Person-Centered Counselling. As a counsellor on the adult team at mental health charity North Staffs Mind, I worked with many different client groups and issues. I have worked for a secure school providing counselling services to children and also for a local secondary school. I am an experienced addiction counsellor and work for a residential drug and alcohol rehabilitation centre. I regularly work with individual clients who have already entered recovery from addiction privately on a one to one basis. I hold a current DBS (disclosure and barring service) certificate and safeguarding certificate. 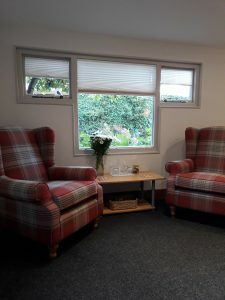 I am a registered member of the British Association for Counselling and Psychotherapy (MBACP) and abide by their ethical framework to offer the best service possible.